Location! Updated 2 bed, 2 bath 2nd floor condo unit in Cedar Pointe! This condo boasts an open floor plan with vaulted ceilings that let in tons of natural light. The kitchen has beautiful granite counter tops, white cabinets, a breakfast bar that sits 3-4 bar stools & a nice sized dining space for a table that would fit 4-6 adults. The master bedroom fits a king sized bed & has it's own full, private bathroom! A cool feature is the loft area that is perfect for office space, play space or extra storage! Don't forget about the large, 1 car detached garage, wood burning fireplace, new carpet & new paint throughout & a nice, private front porch area for relaxing as well as a back porch area to remove snowy/dirty shoes as you come up from the garage. 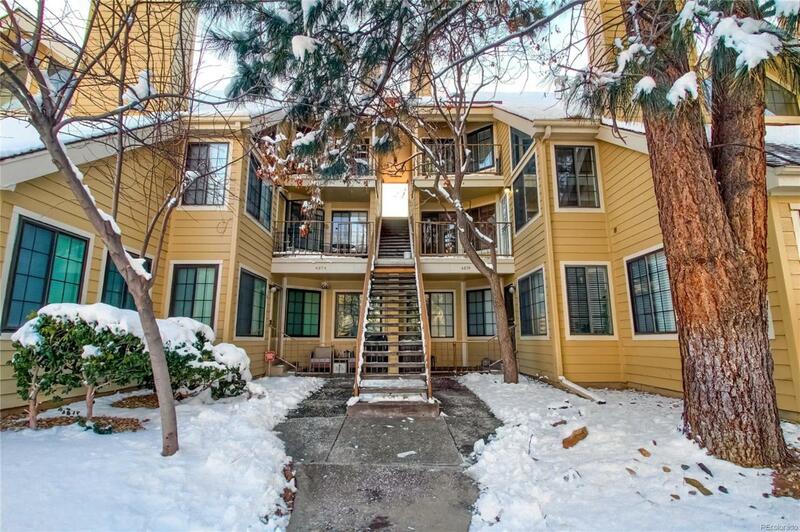 This condo has it all and feeds into Cherry Creek Schools (huge!) and is also close to a dog park with fenced dog run, Infinity Park, Glendale Sports Center (fitness membership available), stores, restaurants and the Cherry Creek Trail!